Profile of the victim : Rajiv was a teacher and belonged to a lower class family while the girl Renu pal was the student of BSC and belonged to an upper caste Thakur Ccommunity . They both were the residents of Nagla Khuru village in Farrukhabad district in Uttar Pradesh. The accused : Renu family members and other people of the village of Thakur caste. Place of Murder : Nagla Khuru village in Farrukhabad district in Uttar Pradesh. Date of Murder : 2nd May 2011. Assassination : They fell in love and eloped, but their love was of no consequence for members of their communities, for whom marrying outside their caste was a far graver crime. 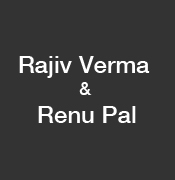 police believe that Rajiv Verma and his girlfriend Renu Pal were stoned to death by a mob of about 200 people, including many of the girl’s relatives. The couple were murdered apparently because of the mob’s “shame” that Renu, a student, should fall in love with her teacher, who came from a lower social group or caste. The police said that community leaders had warned the couple to break off their relationship, but three days before their deaths, they ran off together.